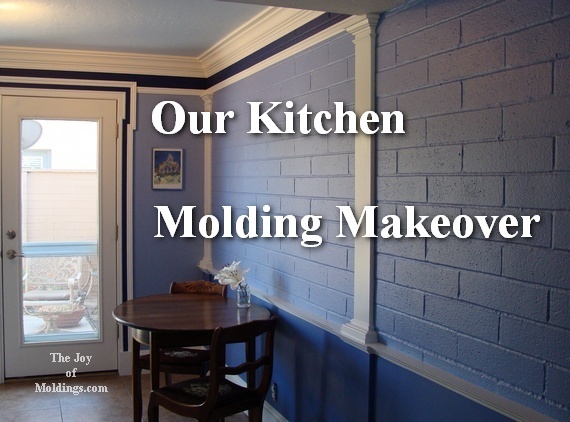 Our kitchen was renovated with new traditional style moldings. The walls are blue and the moldings are white. We have new: crown molding, wainscoting, pilasters, columns, baseboard and porch door trim.